Teaching 4th grade fractions is one of my favorite math skills to teach, but it can get tricky. In my opinion, the 4th grade fraction skills are pivotal for students’ success in later grades with more advanced fraction skills. Unfortunately, many 4th grade fraction skills can be taught with tricks that don’t build necessarily conceptual understanding, which can really hurt students in later grades. 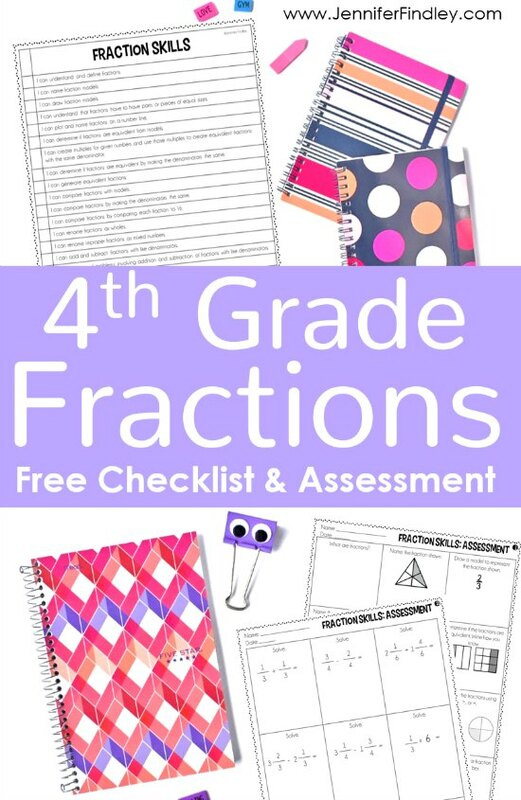 To help, I am sharing a 4th grade fractions checklist of skills introduced, mastered, or built on in 4th grade, including a free assessment. Click here to see the 5th grade fractions checklist and list of skills/I Can Statements. Before I dive into to any major teaching unit, I spend some time breaking down the standards and analyzing any embedded skills. When I did this for the 4th grade fractions unit (as well as the 5th grade unit), I broke the skills into manageable “I Can” Statements that could be both used by the teacher to plan instruction but also by the students. By breaking down the standards, I can make sure I teach all of the different subskills or nuances of a skill. I can understand and define fractions. I can name fraction models. I can draw fraction models. I can understand that fractions have to have equal parts or pieces. I can plot and name fractions on a number line. I can determine if fractions are equivalent from models. I can create multiples for given numbers and use those multiples to create equivalent fractions with the same denominator. I can determine if fractions are equivalent by making the denominators the same. I can generate equivalent fractions. I can compare fractions with models. I can compare fractions by making the denominators the same. I can compare fractions by comparing each fraction to ½.
I can rename fractions as wholes. I can rename improper fractions as mixed numbers. I can add and subtract fractions with like denominators. I can solve word problems involving addition and subtraction of fractions with like denominators. I can add and subtract mixed numbers with like denominators. I can subtract mixed numbers when regrouping is necessary. I can solve word problems involving addition and subtraction of mixed numbers with like denominators. I can multiply fractions by whole numbers using models. I can multiply whole numbers by fractions using models. I can solve word problems involving multiplication of fractions and whole numbers. I also give the students a copy of the checklist and we check off (or date) the skills as we learn them. It also serves a table of contents for our math notebooks. It allows me to ensure my students have a strong foundation to build from when teaching more advanced concepts. I can see and address any misconceptions that students have in their fraction understanding. I can review the previous grade level fraction skills in a way that prepares them for the 4th grade skills. The vast majority of my students really need the review! You will also find an assessment that addresses the skills from the checklist. Personally, I used this when I finished the year out for a 4th grade teacher. I entered the classroom after fraction instruction was complete so I needed an assessment that would give me a really quick look at how the students did and what instruction was needed. I was able to use this assessment to then plan my small group instruction and whole group re-teaching the lessons. Unless you teach advanced students (or 5th grade) or are required to give pre-assessments, I recommend using this as a post-assessment. And then planning future instruction based on the results. The assessment is a quick quiz and does not include any tricky or advanced questions. It can also be broken up into two parts and given at different parts of your instruction. 5th grade teachers, this would be ideal to give before you begin your fraction unit. It will give you a ton of valuable information as to where your students stand with their fraction understanding. You can use the results to plan whole group lessons or build background with small groups prior to moving into 5th grade fraction skills. Click here to download the checklist and the assessment (with an answer key). Do you need more 4th fraction resources for your classroom? Click on the links below to check out a few recommended resources or articles for fractions. 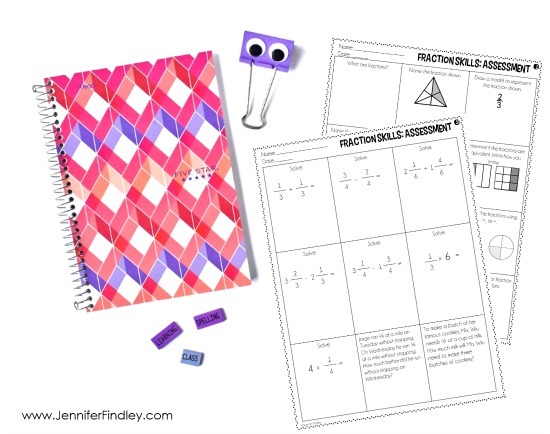 4th Grade Fraction Review Mini-Booklet: I use this resource for re-teaching and review after I have taught all of the 4th grade fraction skills. 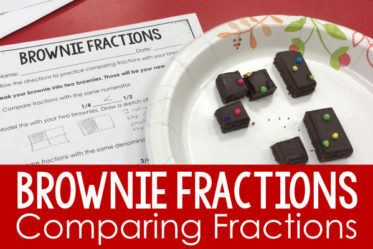 Chocolate Themed Fraction Math Tasks: These tasks in my TeachersPayTeachers store are perfect for engaging fraction practice with a yummy chocolate theme. The tasks are also differentiated with 4th grade being the lower level and 5th grade being the higher level. Subtracting Mixed Numbers with Regrouping Using Manipulatives: This blog post shares three ways you have help your students subtract mixed numbers in a more concrete way using manipulatives. Multiplying Fractions by Whole Numbers: Word Problems: This skill is one of the trickier 4th grade fraction skills. Check out this post for more information about the two types of problems and examples of each. 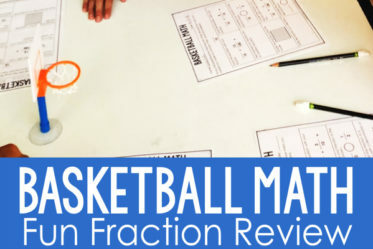 Free Basketball Fraction Review – This blog post shares details and a free printable for an engaging basketball themed fraction review that your students will love! Free Jenga Fraction Game – Grab free printables to review fractions using colored Jenga blocks on this post. Your students will love this! Free Fraction Dice Centers – Want some super low-prep games for your students to complete to review various fraction skills? This post shares several!